Note: All photos are the property of and are used with permission from WheelHaus Luxury Rolling Cabins. 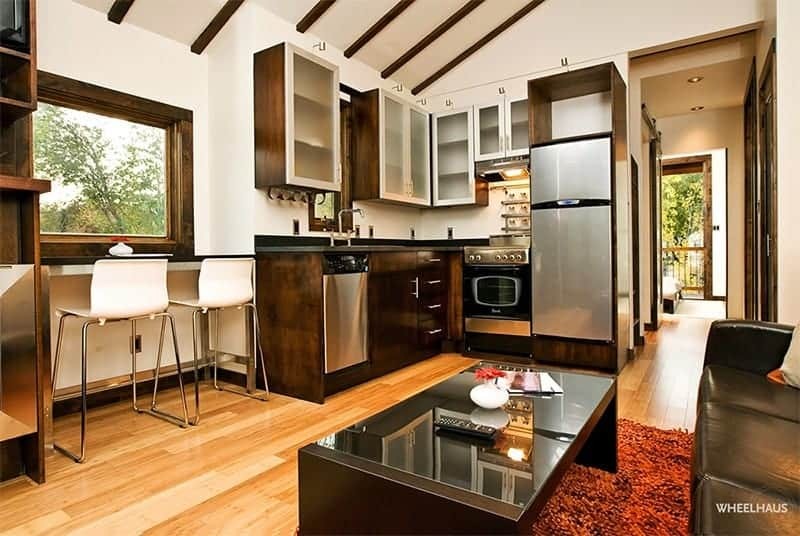 When it comes to tiny homes, you probably have more options than you realize for obtaining one. 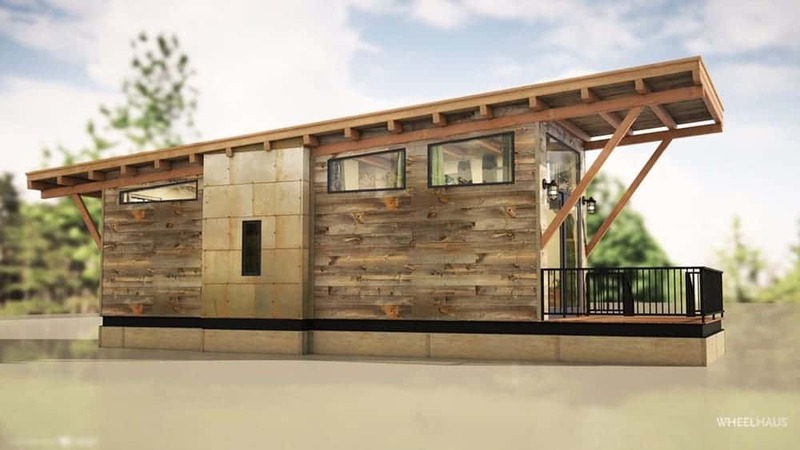 You can build one from scratch, you can buy a prefab kit, or you can purchase a modular home that is delivered to your location completely ready to live in. There are quite a few manufacturers of these turn-key tiny homes, but one of my favorites is WheelHaus. 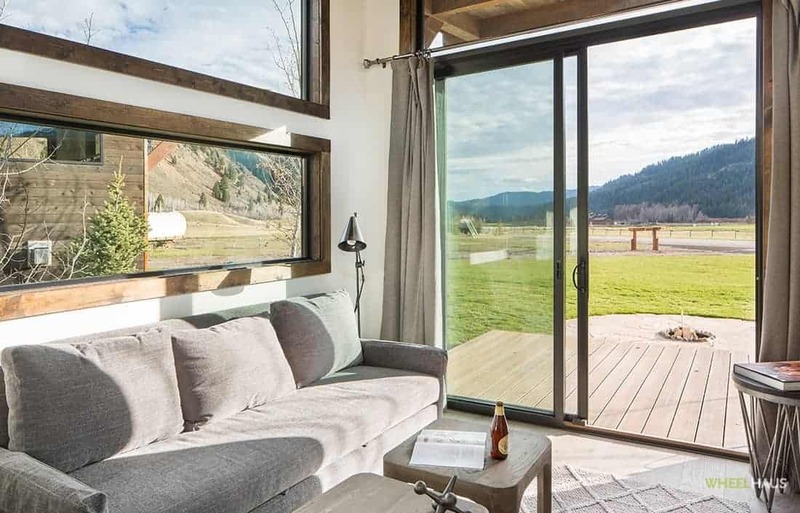 WheelHaus has been building and manufacturing tiny homes since 2006 in Jackson Wyoming to the high standards of founder and CEO, Jamie Mackay. Jamie’s father worked in log cabin construction and WheelHaus was inspired by the quality and craftsmanship he saw his father provide. Combined with his interest in modern design and green production, WheelHaus cabins are a blend of these high standards with “energy efficiency, innovative design, progressive space management, sustainable building practices and top of the line building materials”. 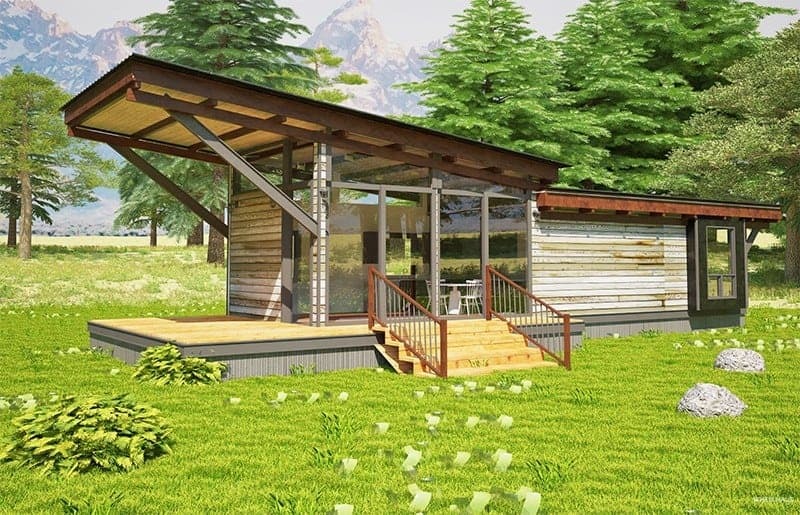 Tiny houses may be the solution to solving a lot of our social and environmental challenges. They are more affordable, often portable, and offer a simpler lifestyle and WheelHaus is sure to be a key player in the future of the movement. Take a look at some of their designs. 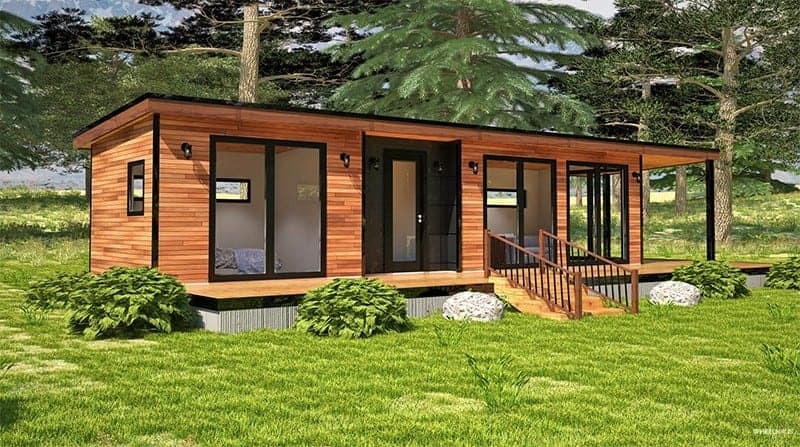 WheelHaus tiny homes range in size from as small as 225 s.f. up to around 400 s.f. They do have some modular homes that are larger than that, but at 1,000-1,500 s.f. they step outside the tiny realm and enter the merely “modest” category. Let’s take a look at the tiny models from WheelHaus. The WheelHaus Caboose model is one of their flagship designs. It looks like a train caboose and has a lofted design that contains a sleeping area. Depending upon furniture configuration, the Caboose can sleep 6 people (4 adults and 2 children). 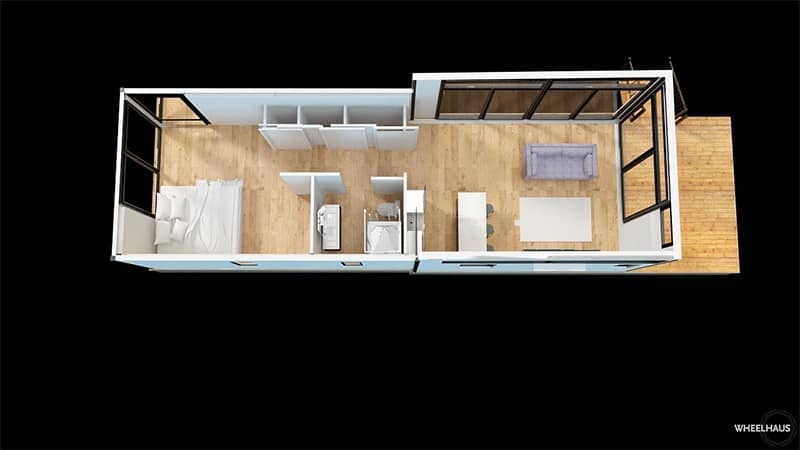 Caboose Floor Plan – Photo used with permission from WheelHaus Luxury Rolling Cabins. Caboose – Photo used with permission from WheelHaus Luxury Rolling Cabins. Caboose Kitchen – Photo used with permission from WheelHaus Luxury Rolling Cabins. 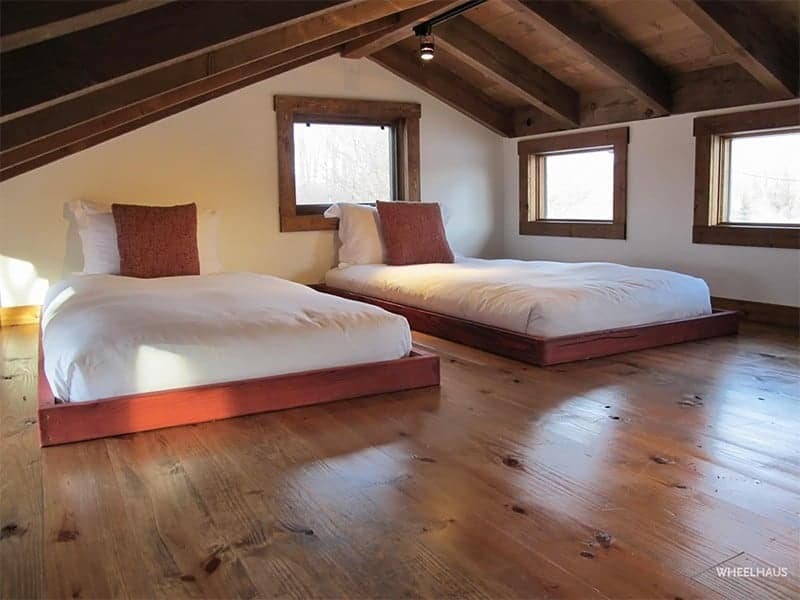 Caboose Loft – Photo used with permission from WheelHaus Luxury Rolling Cabins. I love the rustic look of this home and the contrast of the different materials. It really does look like a caboose! 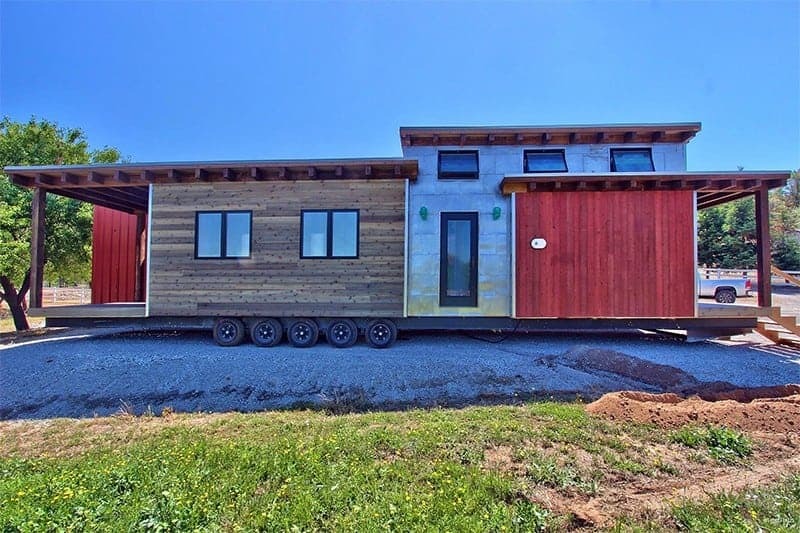 WheelHaus Caboose is featured in this video that talks about the tiny house movement into Northern Michigan. 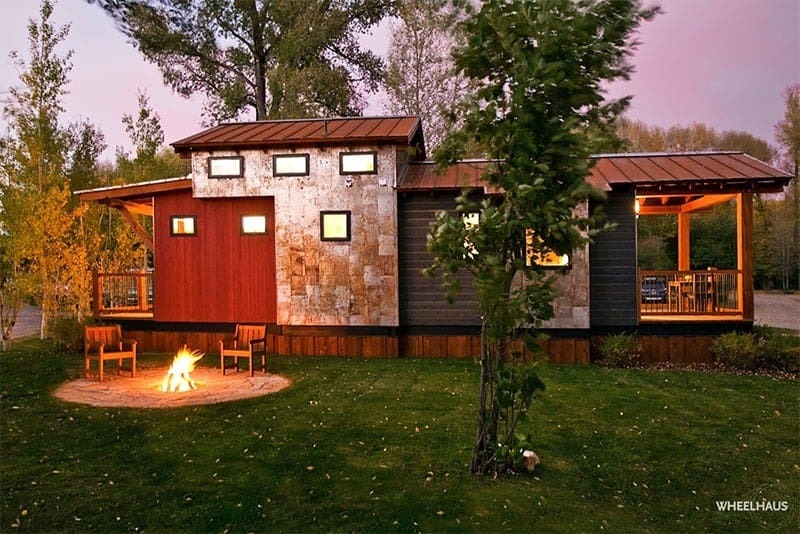 The wedge model from WheelHaus has a striking roofline and the siding is made from reclaiming Wyoming snow fencing. 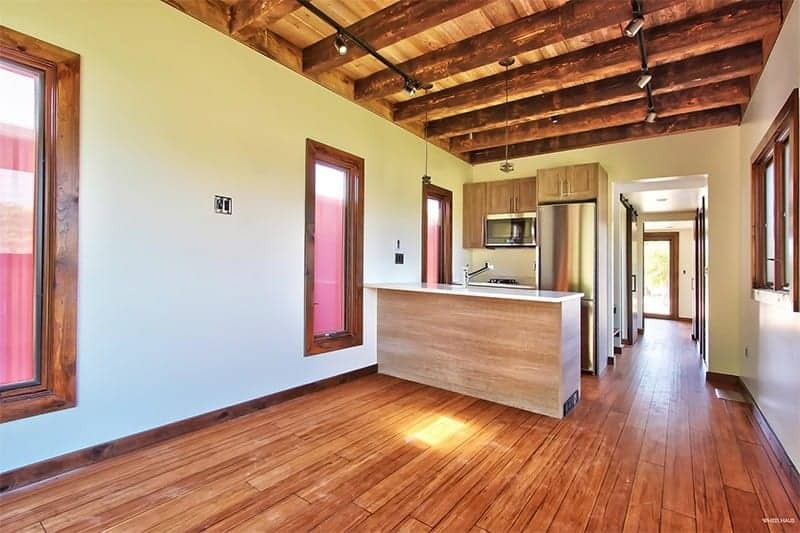 It is a rustic, sustainable, built-to-last tiny home with high ceilings and loads of natural light. Wedge Floor Plan – Photo used with permission from WheelHaus Luxury Rolling Cabins. Wedge – Photo used with permission from WheelHaus Luxury Rolling Cabins. Wedge Interior – Photo used with permission from WheelHaus Luxury Rolling Cabins. Wedge at Night – Photo used with permission from WheelHaus Luxury Rolling Cabins. The Wedge model is a simple design that takes advantage of light for making it seem bigger than it actually is. The Light Haus model from WheelHaus is a somewhat simpler design compared to the Caboose or Wedge models. With large windows in every room, it offers great views, lots of light and the optional deck makes it perfect for indoor/outdoor living. Light Haus Floor Plan – Photo used with permission from WheelHaus Luxury Rolling Cabins. 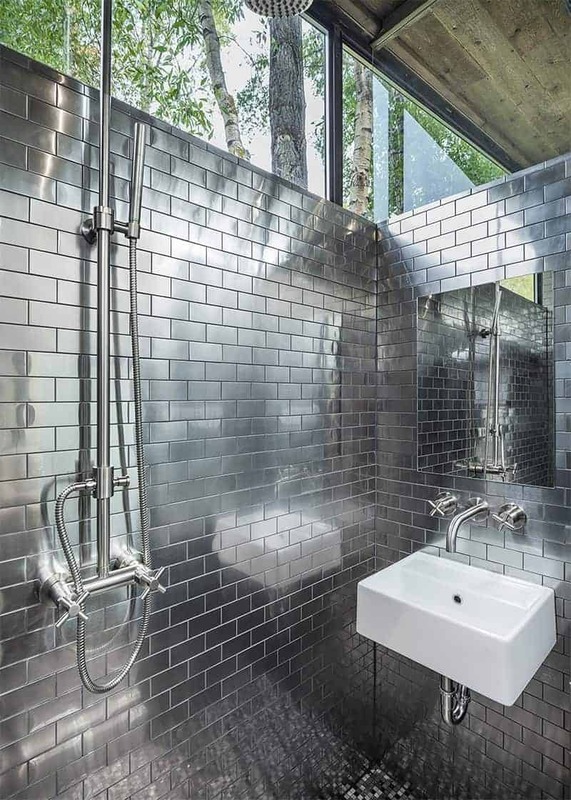 Light Haus – Photo used with permission from WheelHaus Luxury Rolling Cabins. 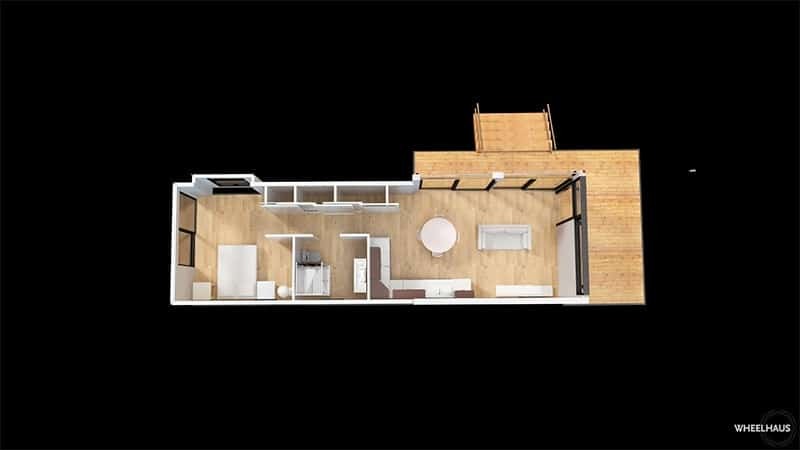 The Light Haus design kind of reminds me of a high end shipping container, and the ability to be used as a modular design in different plan configurations makes it really versatile. Lookout is kind of a combination of the Wedge and Light Haus models with a sloping roof to let light flow into the space and a spacious covered deck with a couple of different plan options. Lookout – Photo used with permission from WheelHaus Luxury Rolling Cabins. 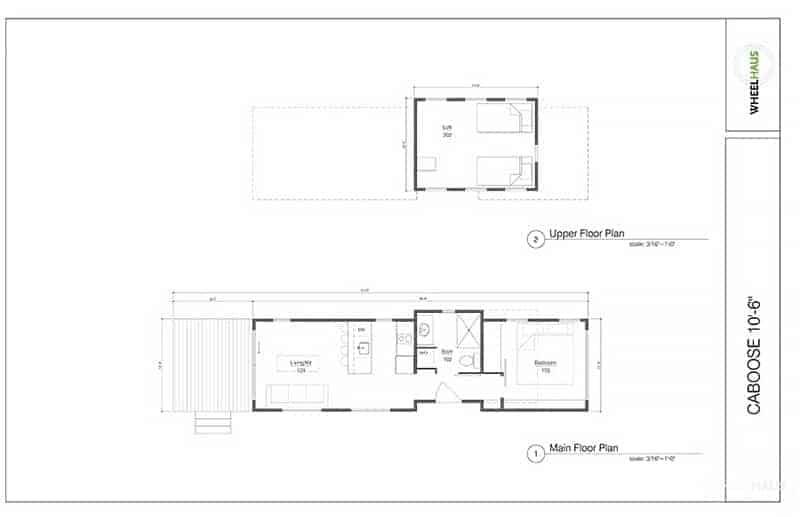 Lookout Floor Plan – Photo used with permission from WheelHaus Luxury Rolling Cabins. Lookout Alternative Floor Plan – Photo used with permission from WheelHaus Luxury Rolling Cabins. The Lookout model is one of my favorites. 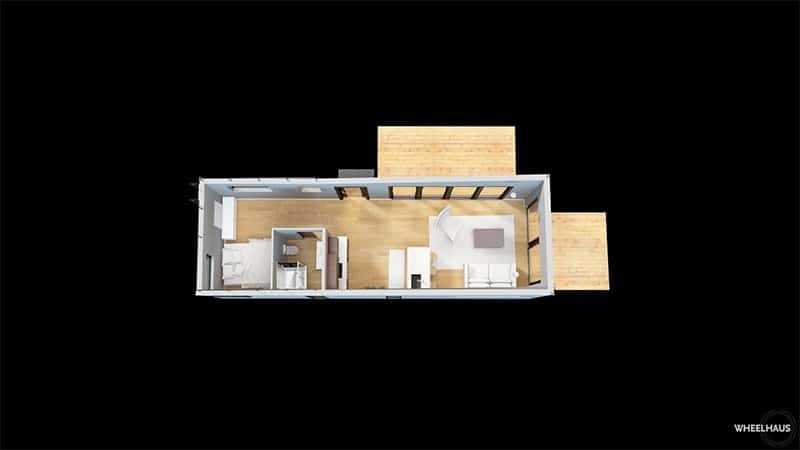 The floor plan makes great use of the space, offers a practical layout with adequate storage while still allowing a lot of light into the home. The Flex-Haus is one of the most versatile WheelHaus models. It is a street legal RV/tiny home that still remains spacious despite its smaller footprint. Flex-Haus – Photo used with permission from WheelHaus Luxury Rolling Cabins. Flex-Haus Floor Plan – Photo used with permission from WheelHaus Luxury Rolling Cabins. 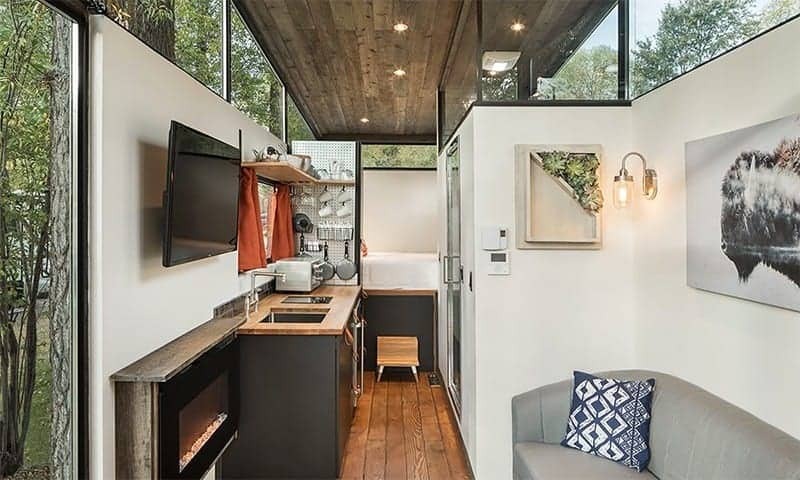 This is such a unique little home, traditional RVs have nothing on this tiny home. I love the optional drop down decks that can help make your living space larger. 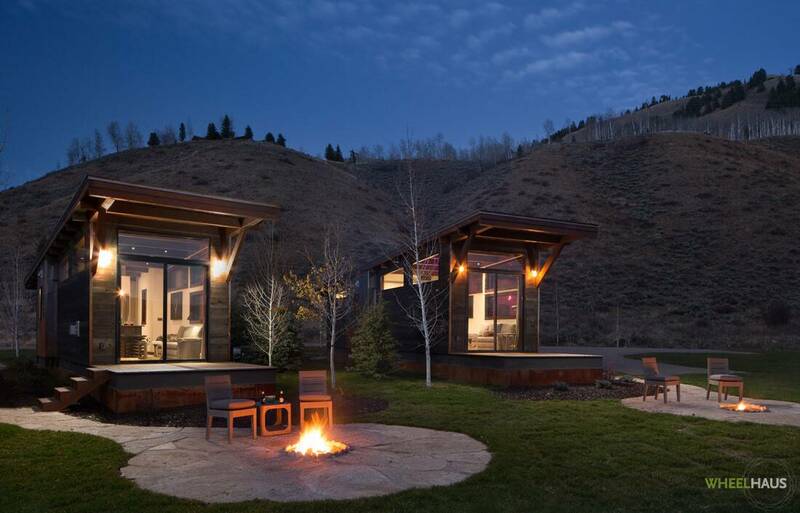 You definitely won’t feel like you are living in an RV with this home. The WheelHaus Flat Roof Caboose is similar to their Caboose model in that it maximizes space by incorporating a loft and has an optional upper deck. 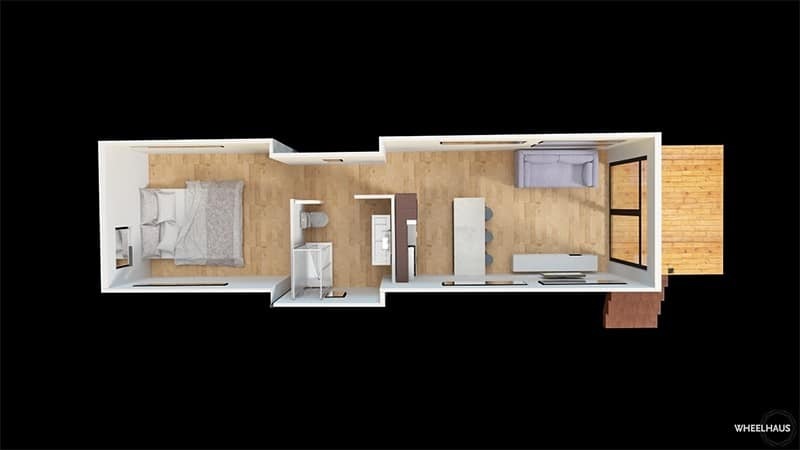 This model (with the loft) sleeps 6 people and possibly more. Flat Roof Caboose – Photo used with permission from WheelHaus Luxury Rolling Cabins. Flat Roof Caboose Interior – Photo used with permission from WheelHaus Luxury Rolling Cabins. 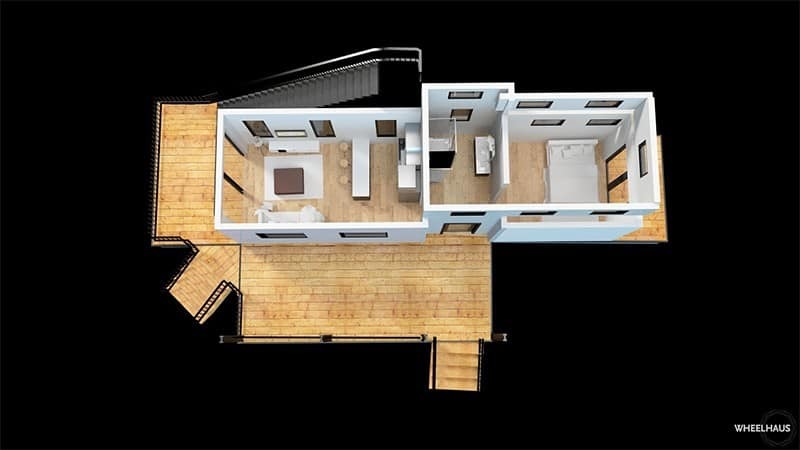 Flat Roof Caboose Floor Plan – Photo used with permission from WheelHaus Luxury Rolling Cabins. I really love the material changes and the contrast on the different planes of the elevation of the Flat Roof Caboose. And that roof deck! They sure manage to pack a lot of living in 400 s.f. of space. The RoadHaus Wedge RV from WheelHaus is a smaller, more portable version of their Wedge model. 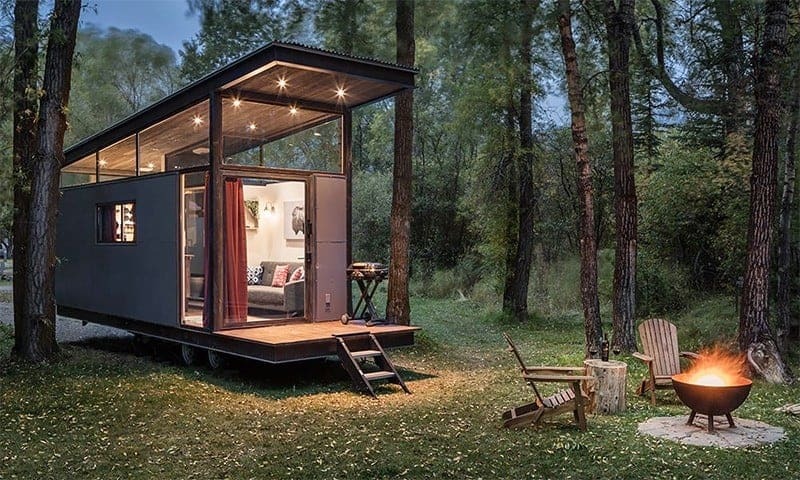 This home is the perfect tiny home or will work as a granny flat, guesthouse or even a backyard office. RoadHaus Wedge RV – Photo used with permission from WheelHaus Luxury Rolling Cabins. RoadHaus Wedge RV Interior – Photo used with permission from WheelHaus Luxury Rolling Cabins. The way the roof on this model seems to float above the walls, really adds a sense of spaciousness to what is really a very small space. I am definitely a fan of this as a backyard office for myself! Flexible design options to meet your needs and personal style. Modular options for just the right size for your project. High quality materials and construction with great attention to detail. Turn-key meaning all you need is furniture and you can move right in. They even include the appliances! Try before you buy at a local Wyoming resort. In addition to the models above, WheelHaus also offers some additional variations, and many of their homes offer the flexibility of being modular and expandable. 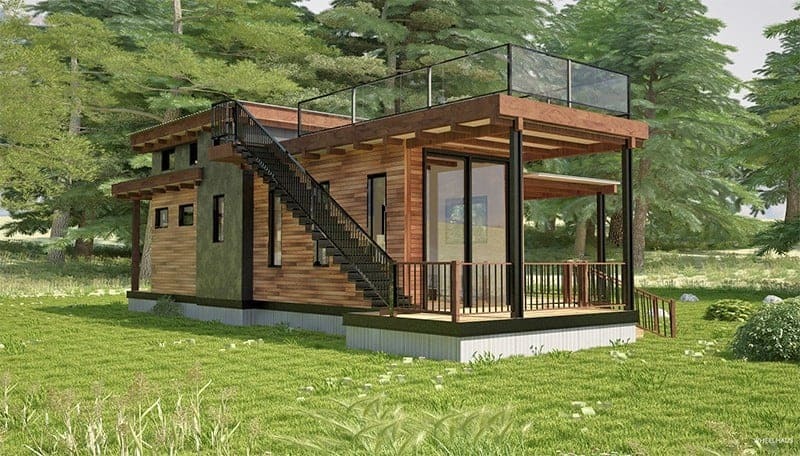 WheelHaus does a great job on the designs of these tiny homes, and if their attention to detail in design is any indication of the quality, then these are sure to be very well built homes. 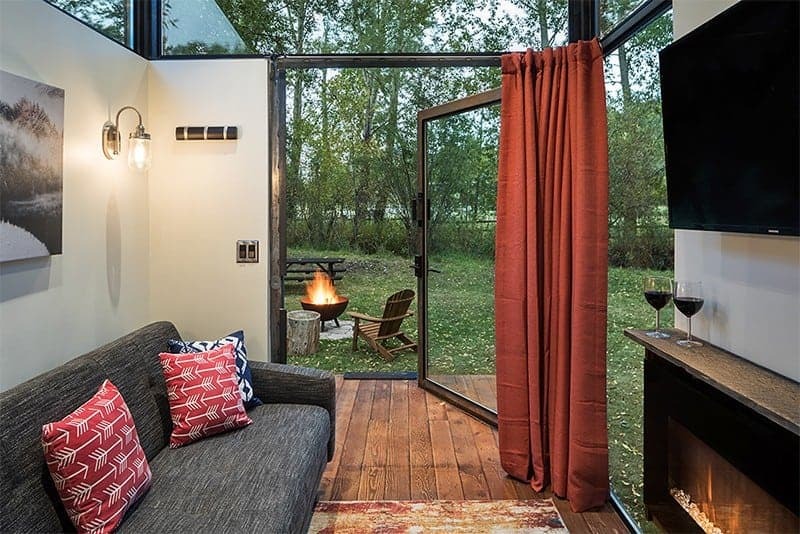 The contrast in materials and textures makes these small spaces super interesting, and the way they bring the outside in with well-placed windows and doors, adds a sense of spaciousness to what otherwise would be a small, dark box. For more information about WheelHaus and to learn how you can “try before you buy” and stay in a WheelHaus tiny home visit: www.wheelhaus.com. Kim is a Chicago native who currently lives in Northwest Indiana with her husband, two children, and three dogs. She is a Licensed Architect but left the corporate world to pursue a creative endeavor that would allow her to be home with her children.